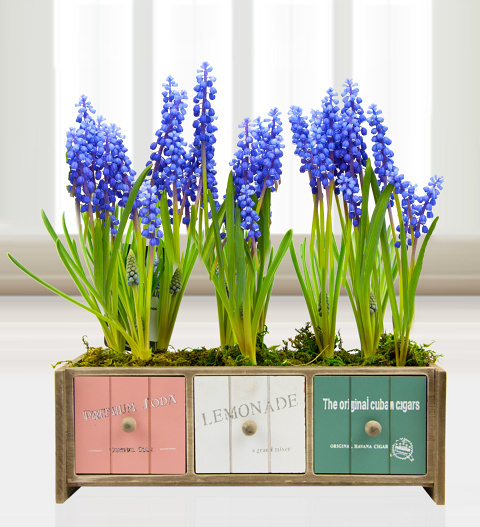 This potted Muscari is a superb gift for anyone and any occasion. The plant got its name thanks to the lovely musk scent the flowers release into the air. You can be sure that this potted plant will make any room look and smell great! Perfect to send the best wishes for a birthday, to thank a friend or show someone just how much you care. Chocolates may contain nuts.